Our friends at Field Notes give the Little Black Book a run for its money with their beautiful, durable brown notebooks. We’re thrilled to offer their classic 48-page, Made in America (always) memo books as the first of many forthcoming “School Supplies” on ShopSchoolHouse.com. Order a set of three in Ruled, Plain, and Graph Paper designs and you’ll never go back to your old composition book. 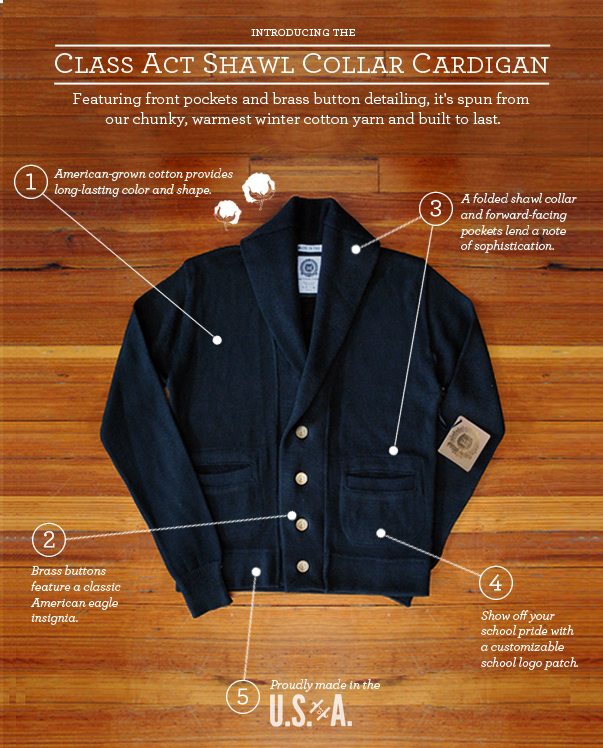 It’s really starting to feel like fall, so we wanted to showcase the different ways you can wear our Shawl Collar Cardigan! How would you wear our cardigan? P.S. All the clothing we featured with our collection is also Made in the US!